Henck Design partners with Drew and Jonathan Scott, The Property Bros. on creating these dynamic masculine spaces. 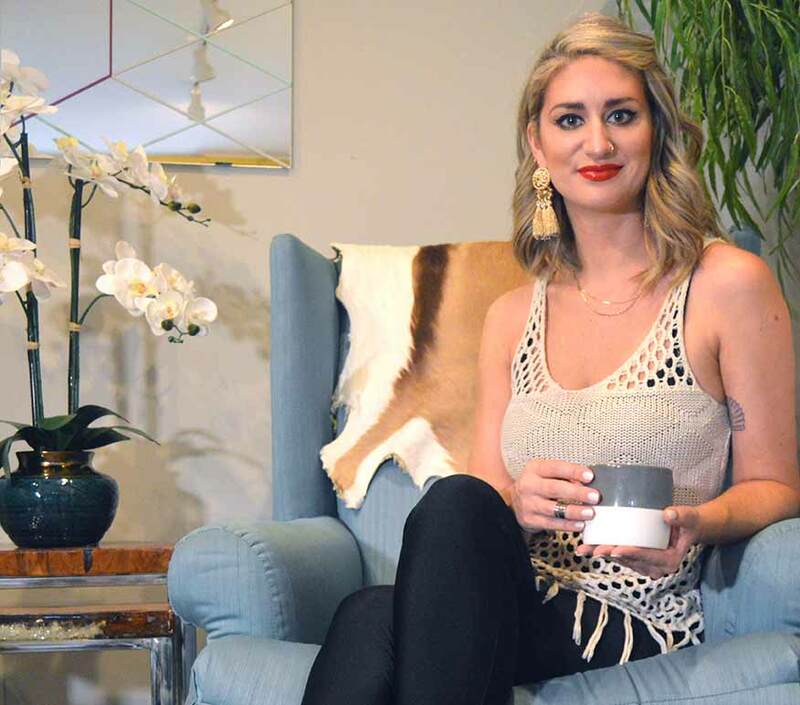 Collaborating with the Property Brothers and finishing the second Mid-Century Style space this year? Henck Design is Starting 2019 off Strong! We just wrapped up two of our favorite projects EVER. The theme for these two jobs is Masculine and Down-to-Earth Mid-Century Modern Design. Picture a Mad Men’s style inspired interior that’s family friendly. 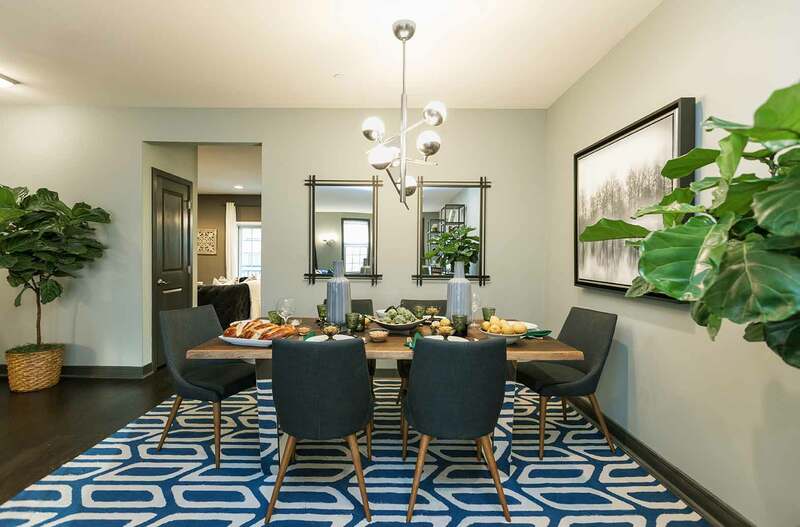 The first design with dramatic blue walls and green dining chairs was outfitted for Drew and Jonathan Scott, The Property Brothers via Christina Henck’s latest collaboration with Casaza. The second is done locally to Philadelphia in the Graduate Hospital Neighborhood at Toll Brother’s townhouse development on South Street. 1: Henck Design created these rustic dining rooms for male clients with an appreciation for time-honored design inspiration. 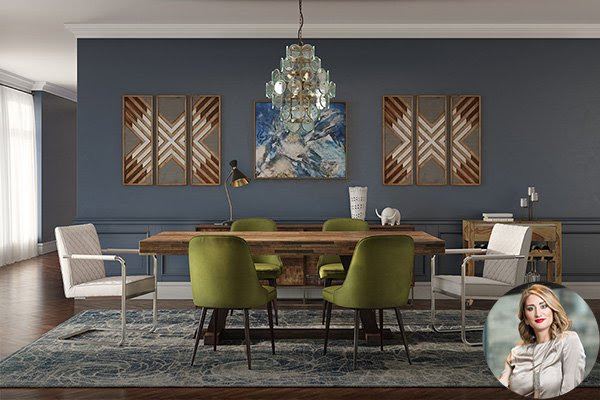 Vintage modern meets a cool color palette and rustic wood finishes that give a woodsy vibe. Both spaces are dining rooms that feel casual, approachable, and are perfect for everyday living. 2: Both dining rooms that Christina Henck designed have a Mid-Century Modern inspiration and have a vacation home feel that could be a good fit overlooking waves of a shoreline or be perfect in a cabin on Lake Tahoe. The color palette in both spaces tells the story of a space that’s natural and would make any vacation home a memorable one! Henck Design is known for mixing old with new and for a Classic Modern design aesthetic that appeals to casual commercial spaces and makes for very comfy homes. While we were developing the design for this Casaza project, we were in the midst of one of our coolest Mid-Century Modern jobs in years. The stars aligned and we’re excited to show them to you as a cohesive package complete with classic Eames lounge chair, reclaimed wood furniture, one of a kind art pieces and fabulous Mid-Century style lighting. For more looks like this check out our Pinterest board inspired by this project – A Fresh look at Classic Mid-Century Modern. Visual balance is something that can not be sacrificed in interior design work. In order to create balance, there must be two or more contrasting elements. 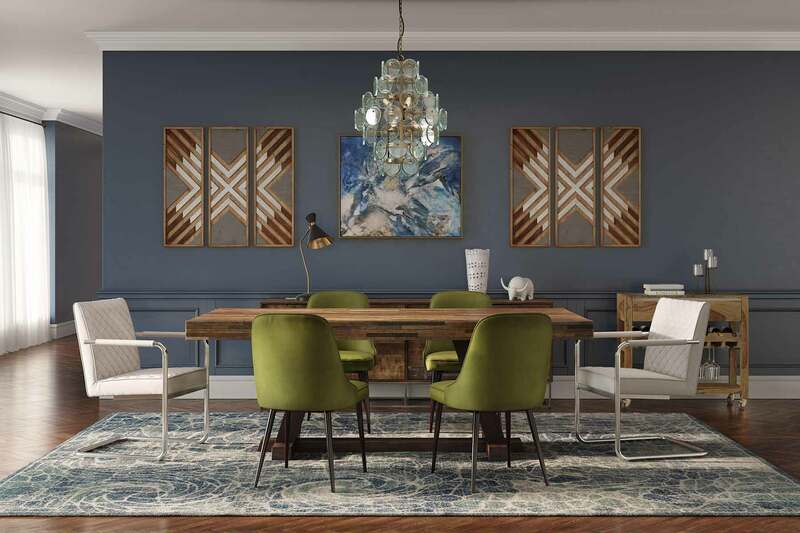 In this case, warm wood tones in furniture pieces and graphic art pieces contrast cool blue and green accents. The flowing quality to the dining room rug and wall art harmonizes to create a second layer for the casual dining space. Curved back green chairs offset the geometric lines of other pieces in the room to give a variety of shapes that also creates interest that’ll make any guest want to stay for dessert! 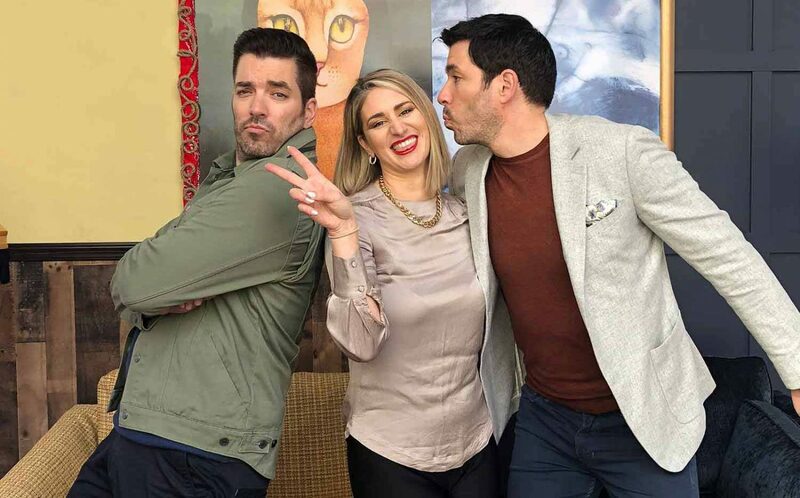 For more information on Christina Henck’s collaboration with Drew and Jonathan Scott, see her interview with the brothers here.